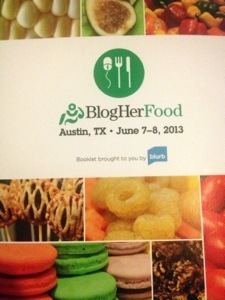 So last weekend I attended Blogher Food in Austin. Leading up to it I was pretty nervous but so excited because the conference was on my home turf. 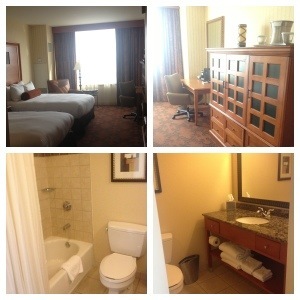 It all took place at the Hilton Downtown smack in the middle of Austin. Car problems prevented me from getting to the receptions I was invited to Thursday evening. But Friday morning I was there with a borrowed car and ready to learn. The first session I reverted to my old self and sat in the back at a table by myself. Luckily an angel in the form or Annelies from Blogher plopped down at my table, introduced herself and chatted with me. She then said come on and join our table so off I went and the ice was broken. There were so many wonderful sessions and I was torn between quite a few of them. The ones I attended were all great and I learned something from each of them. Luckily, there was live blogging and tweets to keep up with everything. It wasn’t all about the sessions though. There was also food. Ok. I have to tell you the story of our excursion. 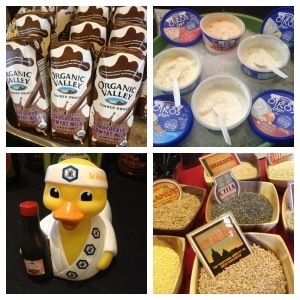 Blogher offered six different excursions that really showcased Austin. I chose the bats and brats because I’ve lived in this area most of my life and I’ve never seen the bats. 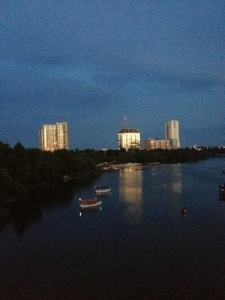 I’ve seen them other places but never from the Congress Bridge. So off our little group went and we had fun getting to know each other on our way. I stopped in at TGIFridays for some drinks with a couple of the gals while we waited and then headed out to see the bats. And we waited. And waited. And even when everyone else left we still waited. And nothing. Zilch. The bats decided to stay sleeping instead. We then headed to Frank to have dinner but apparently Mumford & Sons took our table and there was no room for us. Which is such a bummer because I was so looking forward to a brat and beer. I ended up going with Regina and Paige to Eddie V’s and had the best time. Those girls were so much fun and I enjoyed spending time with them. Regina is my sister from another mother for sure. 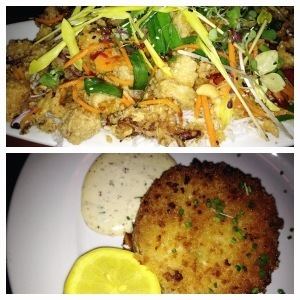 The calamari and crab cakes were some of the best I’ve ever had. Truly. Saturday saw us in more amazing sessions. I’ve now got a laundry list of things to do to focus and enhance this website. If there are specific things you’d like to see on here, just let me know. One great thing that happened on Saturday was lunch. 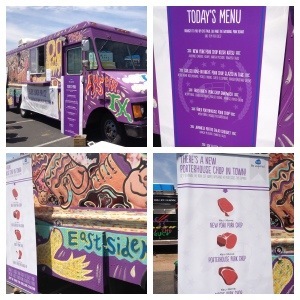 The National Pork Board treated us to lunch at the Grackle food truck. This is the same chef who has East Side King (remember this Fried Brussel Sprouts Salad?) so you know it’s good. 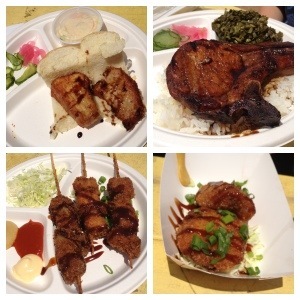 They had different kinds of pork available to showcase their new names and the food was delectable. I had the pork sandwich but had pork envy from the pork chops my lunch mate Sara had. Yum! After the conference Regina and I went and did a little exploring. 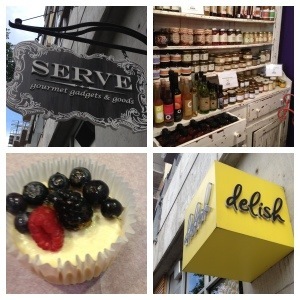 We visited a great kitchen store and a bakery. So fun! I was so exhausted after so I headed home. 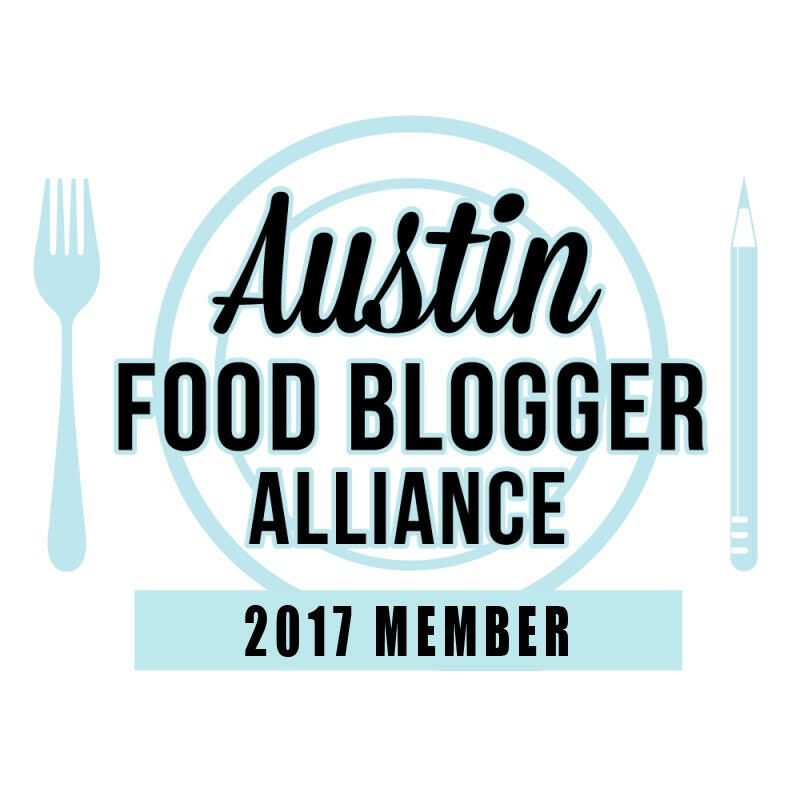 Unfortunately I missed my chance to meet The Pioneer Woman so I’ll just have to make sure and attend Blogher Food again next year! If you are on the fence about attending, please let me put your mind at ease and just tell you to go. It was all simply amazing. Definitely Julie. 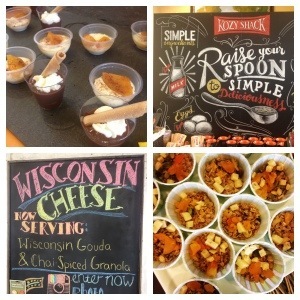 I have a list of places to try because of Blogher Food.